As Russell M. Nelson ascended to the top of the LDS Church and its all-male hierarchy, the question came: What about women? “We love ’em,” Nelson quipped at the Jan. 16 news conference announcing his presidency of the nearly 16 million-member Church of Jesus Christ of Latter-day Saints. 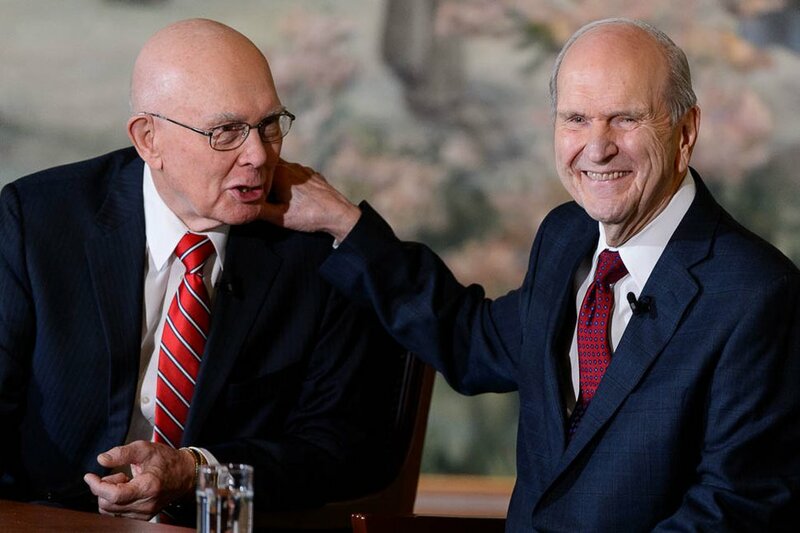 The 93-year-old leader (as well as his two counselors in the faith’s governing First Presidency) praised the mothers and daughters in their lives who had produced missionary sons and bishops and had served as “influencers” to the men. The imprint of such steps — and activism from the Ordain Women movement and other advocates — is clear, however, and reverberates across the world in LDS teachings, traditions and sermons. The push is far from over. As the church grapples with what to do about Mormon lay leaders — all men as well — who ask inappropriate questions during one-on-one interviews with young women and children, or how these men should respond when a wife alleges domestic violence (as in the recent Rob Porter case), the question echoes: Would greater male-female equality improve the outcomes? What effect might the presence of more women in leadership have on the exodus of so many Mormon millennials, including feminists? Could it help soften the church’s policy and preaching about gay couples? Would gender equity in the ranks shore up failing marriages, alleviate social stigmas and bring more diversity to church practices and programs? Retired Utah Supreme Court Justice Christine Durham also sees a more balanced future. 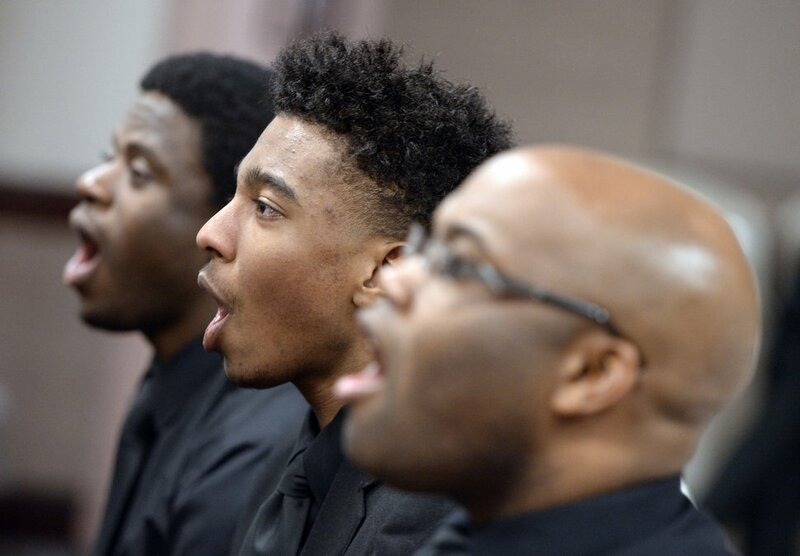 The arc of history may “bend toward justice,” as civil rights legend Martin Luther King Jr. once declared, but in the case of Mormon equality, it may dip, curve, swerve and even backtrack on its way. Hours before an April 1992 exhibit celebrating the all-female Relief Society’s sesquicentennial was to open at the LDS Church History Museum in downtown Salt Lake City, LDS general authority Loren Dunn walked through the displays to give his final approval. Dunn, a Seventy who died in 2001, was troubled, he said, by three quotes hanging on the walls. The quotes were “too close to sacred temple rituals” in which women administer what are considered priesthood ordinances, Dunn said, so he yanked the placards from the wall, leaving obvious blank spaces. At LDS General Conference that month, apostle Dallin H. Oaks discounted the idea that the women’s organization was ever intended to be coequal with the priesthood, which is open to all worthy Mormon males from age 12. 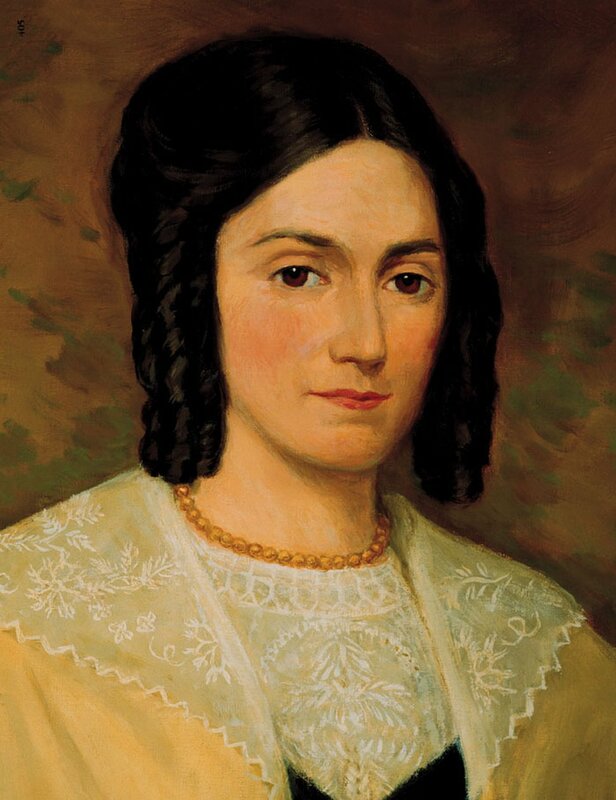 According to LDS historians, early Mormon women interpreted that to mean they were receiving a form of priesthood power. However, sometime in the 1850s, male authorities changed the phrase in official church histories to “I turn the key in your behalf” — a major difference, researchers say, in emphasis and implications. In the past decade, professional historians restored Smith’s original wording. The landmark volume “The First Fifty Years of Relief Society: Key Documents in Latter-day Saint Women’s History” confirmed the original sentence, and the church’s official essay on women repeated it. Even Oaks now acknowledges that what women do in Mormon temples, on missions or in their church assignments is a form of priesthood. 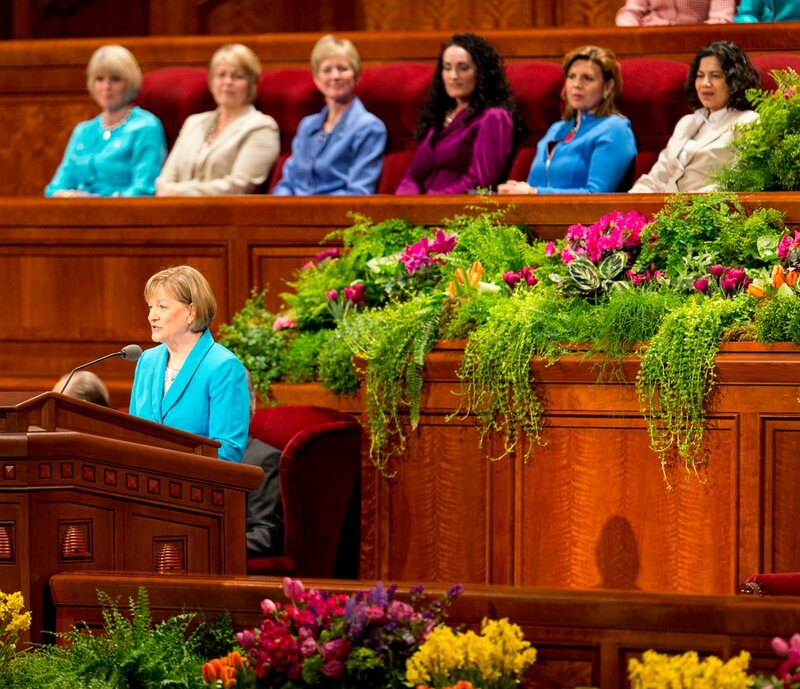 In 2015, Nelson himself urged Mormon women to “speak up and speak out” and seize their “rightful” place in their homes, congregations, communities and the church as a whole. Many are doing just that. And those quotes hidden away from the 1992 Relief Society exhibit are now openly proclaimed in official church publications. 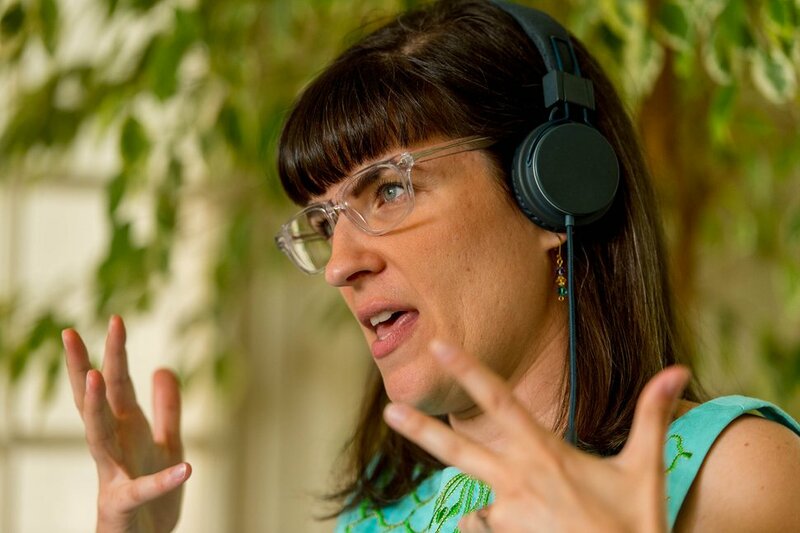 Trent Nelson | The Salt Lake Tribune Ordain Women founder Kate Kelly speaks about her excommunication from the LDS Church in Salt Lake City, Tuesday, June 24, 2014. By the early 21st century, Mormon feminists seemed to go silent. Unlike the 1970s, no planes were flying banners over the church’s semiannual conferences emblazoned with the words “Mormons for ERA.” Unlike the 1980s, there were no public invocations to Mother in Heaven. (While then-church President Gordon B. Hinckley did reference LDS teaching on the Divine Mother, he insisted members do not pray to her.) Unlike the 1990s, no one was disciplined by the church or fired from Brigham Young University for advocating equal rights. It was not dead, however, just quietly moved online. Mormon women were whispering their concerns to others across the nation and even the globe on a new connector: the internet. Blogs blossomed, including the somewhat-snarky Feminist Mormon Housewives, which provided an expansive forum to discuss everything from dirty diapers to doctrine, from loneliness to loss, from careers to callings, from blessings to baptisms — and, ultimately, back to priesthood and patriarchy. The conversations often were private, personal and increasingly agonized as these Mormons wrestled with LDS teachings on ideal families, marriage relationships, and the place of members who don’t fit easily into the Utah-based church or its international congregations. The bloggernacle, as it was called, expanded exponentially and the voices grew louder. In 2012, the church lowered the minimum age at which women could go on full-time missions from 21 to 19, prompting thousands of young women to put in their requests to serve. A year later, a woman prayed at a session of General Conference for the first time. Still, questions remained: Why are women taught not to wear pants to church? Why aren’t there more female speakers at conference? And why aren’t there any women on the top governing committees? Then, in 2013, a new movement exploded into public consciousness: Ordain Women. Led by returned Mormon missionary and Washington human-rights attorney Kate Kelly, OW participants dressed in their Sunday clothes and strode confidently to Salt Lake City’s Temple Square, asking politely for tickets to the all-male priesthood session of the General Conference. One by one, the marchers were turned away, but images of their gentle protest were carried around the world. Within a year, church leaders excommunicated Kelly, but they could not blunt the impact of the drive for ordination — nor halt the debate about the possibility. Since then, Mormon women have seen lots of “baby steps” toward gender equity. Divorced women and mothers with children younger than 18 could now serve as seminary or institute teachers. Women were added to executive committees, alongside apostles. 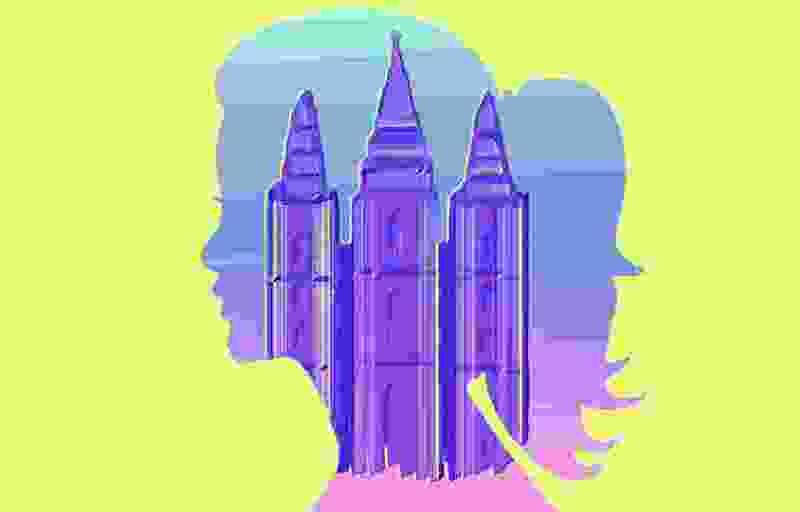 “Before Ordain Women, even talking about whether Mormon women want the priesthood was taboo,” says April Young Bennett, a writer for Exponent II and host of the Religious Feminism Podcast. “Since Ordain Women, church leaders have started talking about a more expansive, less gendered view of the priesthood.” That’s all good, Bennett says, but there’s so much more to do. Bethany Cherry, a black Mormon feminist in Provo who works as a senior specialist at a community center, cheers all the advances toward gender equity. Black women do not have “the luxury of female representation that looks like them,” she says. “Although white women are severely outranked by the leadership of white men in the general authorities, they still are better represented than black women (there are no black women who serve in the general auxiliary presidencies),” and also outrank the number of black men in the hierarchy. Trent Nelson | The Salt Lake Tribune Then-Young Women General President Bonnie Oscarson speaks at the LDS General Women's Meeting at the Conference Center in Salt Lake City, Saturday, March 29, 2014. Many never-married, divorced or widowed members feel invisible in a church that puts so much emphasis on marriage. Though most Mormon feminists applaud any progress, some are losing patience. Why, she wonders, should LDS disciplinary councils, for instance, be made up of all men? “Judgment calls would be better,” Durham says, “if there were both genders” in the council. Kimball was inspired by the attitude of those 19th-century women as well as the descendants who admired them. (Steve Griffin | The Salt Lake Tribune) Statue of Martha Hughes Cannon at the Utah Capitol on Monday, Jan. 29, 2018.